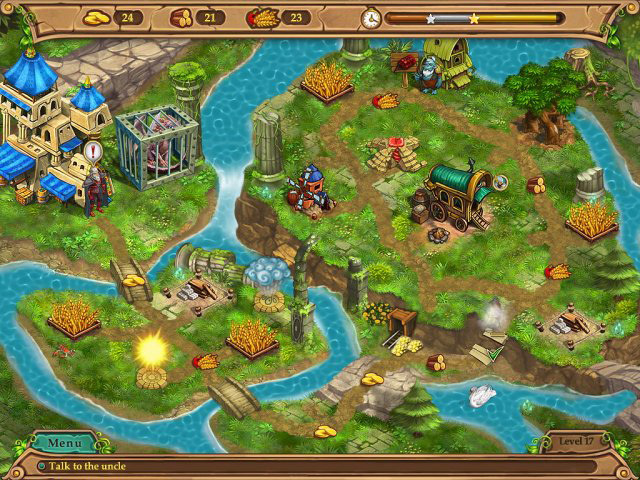 Save the magical Kingdom of Lorraine from complete destruction! Weather Lord: Following the Princess was available as a giveaway on November 12, 2017! How would you improve Weather Lord: Following the Princess? There will be a game on Monday and Tuesday; both are Steam key competition giveaways. To get a feel for today's game giveaway - Weather Lord: Following the Princess before you decide to download it, do check out several game play videos HERE, HERE, HERE, HERE, HERE, HERE and HERE. Please only post comments about today's game giveaway; other comments either inappropriate, or comments with only one or a few words; for example vg, good, thank you, TY, bad, rubbish, this game is ****** etc , or if the comment has nothing to do with today's game or is complaining (send your complaints to the giveaway team via the contact form that I've linked to below), they may be deleted at the moderator or administrators discretion; however, a little light banter among community members/friends and with the moderator to keep this a friendly place to visit is acceptable and welcomed. All comments not specifically about today's game giveaway will be judged by the moderator and if deemed inappropriate, will be deleted and usually with no explanation. Please see the moderation policy HERE for details about posting comments. Todays game is the fifth in the Weather Lord time Management franchise. Weather Lord: Following the Princess is the fifth game in this creative builder franchise! The princess has been held captive in her own tower and it is your mission to help her out and to stop the evil force that destroyed the beautiful Kingdom of Lorraine. 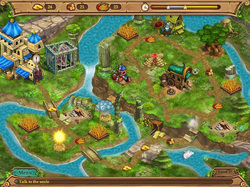 The game tells a rather predictable story that has been reused countless times in Time Management games. Still, we found the storyline to be quite cute and a great tool to drive the game forward. Unfortunately, there are no voice-overs during the cutscenes and conversations, so the dialogs can sometimes be a little bit dry. Regardless, Weather Lord: Following the Princess does feature some stunning graphics. The visuals are stunning in every way; the artwork looks splendid, the colors are well-matched and the visual effects are just enough to grab our attention. On the other hand, we found the music to be quite distracting. Although they are upbeat and fun, they get very repetitive after a while. 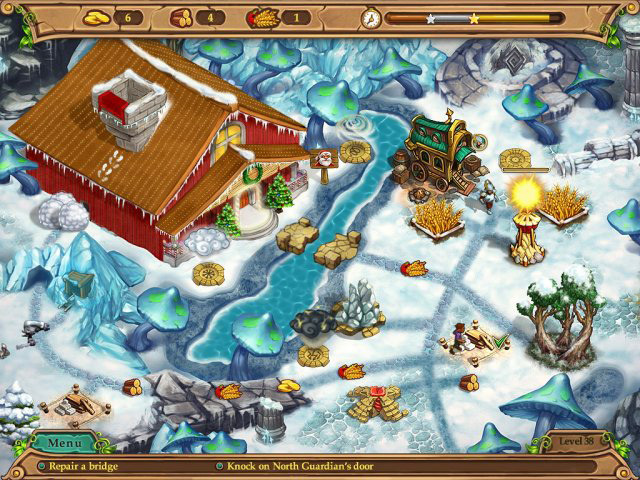 The majority of Weather Lord: Following the Princess plays like any other builder/resource-management games, but there are a few exciting twists as well. As with every one of the previous Weather Lord game, you have the ability to control weather. In this installment, you can drag icons of Clouds, Sun and Tornado from the bottom of the screen to help with growing the resources or getting rid of the obstacles. Further, there are also useful Power-Ups which recharge over time. 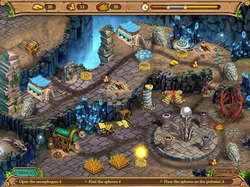 A new feature is also introduced in this sequel, the Artifacts. 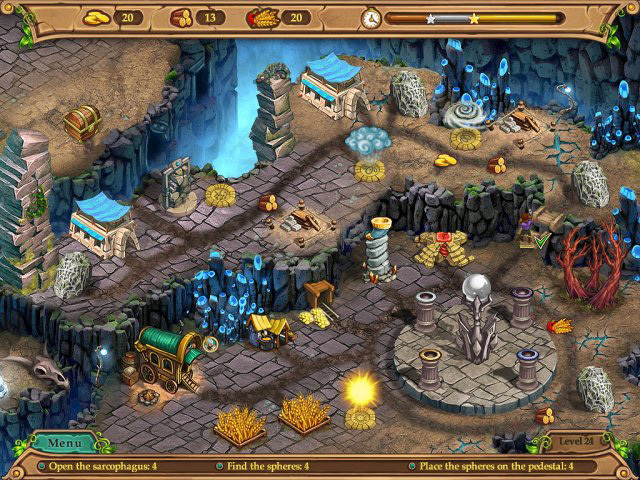 At the beginning of each level, you will be asked which three of the artifacts you have collected you would like to use in the level. Each artifact has varied functions and powers, so choose wisely! As for the challenge of the gameplay, Weather Lord: Following the Princess comes in two modes: Expert and Casual (untimed). We like how the challenge level increases at a fairly stable rate – so it does not overwhelm beginners, at the same time, more advanced players won’t feel bored. Edited reference accessed HERE. Originally posted by All About Games on 20/11/2015. Edited and reposted by Whiterabbit-uk 11th November 2017. You can see Big Fish community reviews of Weather Lord: Following the Princess HERE and more information in the Big Fish forums HERE and the Steam feedback reviews HERE (collectors Edition). There are several in-game videos of game play HERE, HERE, HERE, HERE, HERE, HERE and HERE. You can also find a walkthrough HERE and a commercial strategy guide HERE which you can see two pages of in the images directly below. These are not included with todays game. I've only played the game for a short while, mainly to see if there were any issues, which there wern't, so haven't posted a conclusion. I'm not a great Time Management game enthusiast so would be a little negatively biased (though I try not to be when reviewing games) and with issues at home I don't have that much spare time at the moment, plus I've had five games to review over the last couple of days, which has left me with precious little time for other things. What I will say is that it looks like another decent Weather Lord game. Basically, it has similar gameplay to previous Weather Lord titles we've been given here. If you're having problems installing or activating or getting Weather Lord: Following the Princess to work please visit the FAQ's Thread HERE and read through the communities comments because sometimes fixes have already been posted, for example, a common issue seen since the Themida wrapper was introduced three years ago is that some community members installation of the game are blocked by their security because Themida code has been known to hide malware, (usually an error message is flagged for example 'The executable is corrupted' even though in reality it is not); so as a precaution some anti malware programs will block and even delete the suspect installation files even though the files (i.e the setup, read me and setup.gcd files are actually totally free from malware. This issue can be solved either by rebooting your computer in safe mode with networking or a quicker method is to temporarily turn off your security software to allow the installation. You could also try whitelisting the setup.gcd file. In the almost 11 years this game giveaway site has been operating there has 'never' been a game given away that was infected with malware. I'd like to take this opportunity to thank MyPlayCity for giving away Weather Lord: Following the Princess and also to the game giveaway team, as always, for securing other ways to get free games. If Weather Lord: Following the Princess doesn't interest you, but you still hanker for something new to play, you'll find details of some game deals whether they be sale items, indie bundles or games being given away for free HERE (I've not updated the thread in a while, but most of the links still take you to the latest deals). The rest of the information that used to be posted in the game review can be found in the forums HERE. Finally, check out Delenns threads for details of other free games and offers HERE and eslewhere in the game discussion forums HERE, (usually on the first page of the game discussion forums). You can get five of the Weather Lord titles free from MyPlayCity HERE, though make sure you uncheck the boxes at the beginning of the installation . The one that's missing is Legendary Hero. I really enjoyed playing the game. Weather Lord is one of my favourite games, but why does it only have 30 levels? There are still a lot of artifacts missing which to me indicates that there should be more levels, but I do not see them. Game is way too short. As a whole this one was not that hard to play. I like the way the weather systems are placed in one place and can be used to eliminate the enemy. Having artifacts you can choose from is also a bonus. I am looking forward to the next Weather Lord. My thoughts and prayers are still with you both. Many many thanks again for the time and effort you put into making these games available. I know that I do not download much but I always like to see what is going and read the comments. What i like most is the lack of hiccups during download and/or installation/ and play. Have Win 10 which is not the happiest of creatures when it comes to programs, but the games you bring to our attention have worked fine up to now. Thank you again for all your hard work and dedication. Download was easy as well as opening. Game runs quite smoothly and graphics are very good! and complete one task at a time. I had put it to casual mode and might be more challenging in other. I think its great for children and unsure what makes me like it more than some in this mode, but I did. The play is a little more complicated than the other ones in this series, and I can't seem to assign multiple people to a task, but the overall game is still fun and I like the storage of the weather abilities on the function line. Great game. Played up to level 10 and enjoying the gameplay definitely keeping the game. Weatherlord is my favorite series of time management games. Hidden Realm, Shaman, Successor's, Follow Princess, Legend Hero, Royal Holiday, and Graduation. I enjoy this style of time management game because you are building something in different scenarios with little obstacles thrown in to make it challenging and interesting. There is a goal to achieve and a fun story line to follow and is not so difficult that scoring perfect on each level is quite possible with practice. Thank you GOTD as this is where I first discovered the Weather Lord games AND many others that allow mini-breaks thru out the day or marathons late at night. Healing energy to your wife White Rabbit. Nice, detailed graphics, sounds and music are good. Gameplay (up to 3rd level so far) started out very linear but seems to be allowing more choices. Some things are not obvious, which adds to the sense of exploring and accomplishment. I like the game so far, thanks GGOTD and MyPlayCity for another fun one. I've had this game on my computer for a while - probably my favourite genre of game. I play on the expert option, and have been able to obtain the gold level (fastest time) on every level (though some may have had to be played a few times to use the best strategy) except for the final level. I have completed it, but am determined to get the gold!! I enjoy all the games in the weather lord group, and look forward to a new one being produced soon!! Thank you for your feedback and comment, appreciated. Love the Weather Lord games. They have gotten harder as more versions come out, which is not good for me, but I suppose it changes up the games so that they aren't all the same. I finished this one and enjoyed as much as the others. I like the download games. I downloaded yesterdays game but had no time to play so far (my elderly Mom seems to get psychotic and I have to monitor closely) - today I have to pass but I wanted to reach out to WhiteRabbit to express how happy I am his wife is recovering and thank again for all the work he puts in here. Thank you Anu, appreciated. hope your mother is okay? I fear not, will call her doctor tomorrow to see what he suggests. She has delusions and is totally afraid. all downloads are corrupted ??? what is wrong with GAOTD? The giveaway downloads are not corrupted. Thousands of community members are downloading these games. If the files were corrupted we would be inundated with comments abot it. The problem /issue is from your side. Probably your security blocking the download. Try (at your pown risk) temporarily turning off your security. That should solve the issue. Read the readme it does mention this issue. The giveaway team have been giving games away for almost 11 years now and have NEVER given away a game that was infected so it's 99.99% certain that it is safe to turn off your security temporarily to get the game installed. Sven, been on this site, and never gotten corrupted game, but since I got windows 10, I am unable to download UNLESS I shut off my virus protection to do so. I can choose to shut it down 10 min. to an hour. I run Avast as it is free, and have never had problem with that either. Hope this helps. Sven, I have the same problem since I got windows 10. All download files seems to be corrupted. Maybe this is an issue with Windows 10? Susan, steam games must downloaded too!